Petra is believed have been established in 312 BC, making it one of the oldest cities in the world. It was the capital city of Nabateans, who were ancient southern Arab people that arrived in Jordan around the 6th century BC. They were essentially the makers of one of the most extraordinary prehistoric civilisations. Along with the Great Wall of China, Peru’s Machu Picchu, India’s Taj Mahal, the Roman Colosseum in Italy, Mexico’s Chichen Itza and Brazil’s Christ the Redeemer, Petra was named one the New Seven Wonders of the World in 2007. Approximately only 15% of Petra has been explored by archaeologists, which therefore means that there is still plenty to be revealed. The name Petra is derived from the Greek word ‘petros’, which means rocks. 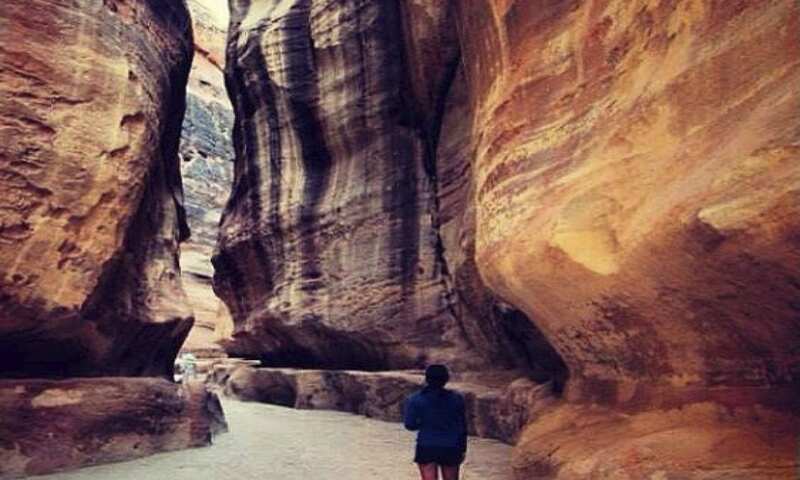 To enter Petra, you need to go through a narrow gorge called the Siq, which is around 1km long. It is bound by cliffs each side which are around 8 metres high. Petra is home to roughly 800 tombs, therefore known as the “Royal Tombs”, with the most renowned being The Treasury. The Treasury was originally built as a mausoleum and crypt, and is estimated to be over 2,000 years old. 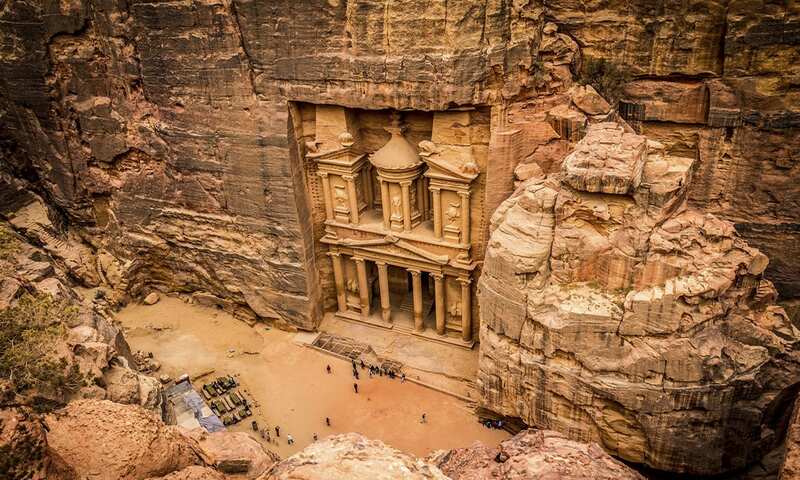 A Swiss explorer called Johann Ludwig Burckhardt discovered Petra in 1812. Because it was an unknown metropolitan for around 5 centuries, it is also called the ‘Lost City’. Petra Archaeological Park became a UNESCO World Heritage site in 1985 due to its historical important and delicate structure. Furthermore, Petra is half-built, half-carved into rock. Situated between the Red and Dead Sea, Petra was a significant junction between Egypt, Arabia and Syria-Phoenicia during Hellenistic and Roman times. It was also a key hub for the silks of China, spices of India and the incense of Arabia. It wouldn’t have been possible for Petra to exist if it had not been for the water channel system that was constructed to offer storage and supply for its people. As a result, there was apparently enough water to support the 30,000 citizens that are believed to have occupied Petra. 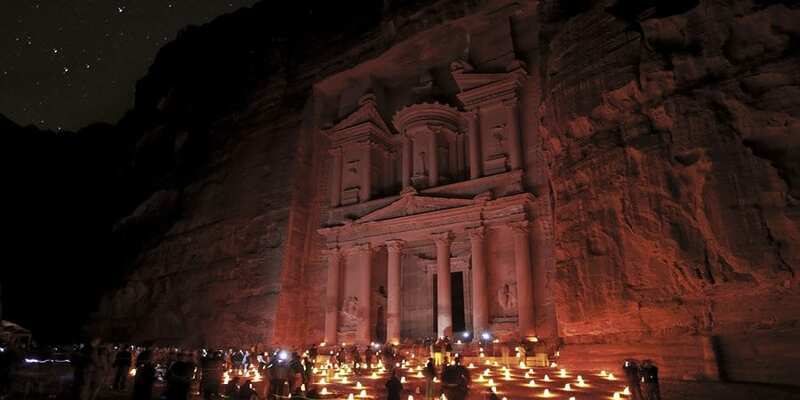 The Mummy Returns, Indiana Jones and the Last Crusade are the most noteworthy movies that were filmed at Petra. Indiana Jones and the Last Crusade amplified awareness of Petra and therefore an increase of tourism to the site occurred. Between 1BC and 8AD Petra experienced harsh earthquakes. An earthquake which occurred in 363AD ruined numerous of the structures in Petra and furthermore, majorly damaged the water system. 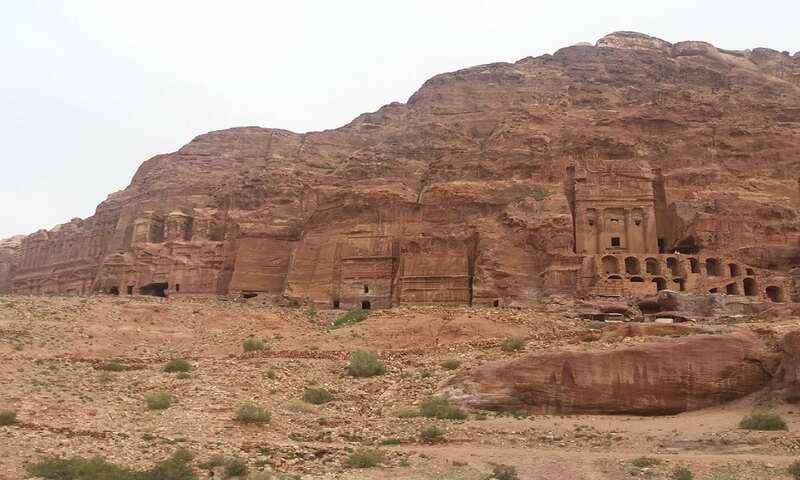 The area of Petra was inhabited in 3 different periods; the Edomites from 18th – 2nd century BC, the Nabateans from 2nd century – 106 BC and the Romans from 106 – 395 BC. The remains left is mainly from the Nabateans period. The Nabateans were extremely skilled water engineers, traders, builders and carvers. Interested in visiting Petra with Travel Talk? Check out our Jordan tour for more information.